– unless you are a performer! This post helps find solutions to this problem. And, you’ll come away with a better understanding of how to sing with allergies. Just to enlighten you, in my many years of playing in groups, I’ve sang with..
even once a few days after surgery! Truth is, when you become a performer, you find very few “excuses” for not showing up. Am I right? 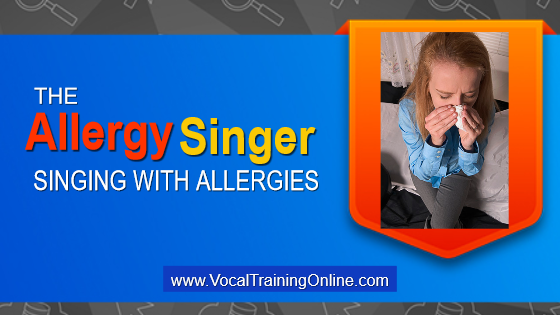 So, in this free singing lesson online, you’ll learn the art of how to sing with allergies – although it can be a challenge. This is a common problem among singers, professional and amateur alike. So, read this before entering local competition or performing on stage. Your performance might depend on it. But now, that stuffy head won’t stop your music performance. How to Sing with Allergies – Is Singing with Allergies Possible? Allergies are a very common problem, especially in the spring when the pollen counts go up. And, anyone who likes to sing has probably noticed that it is really hard to do so when they are suffering from allergies. The reason singing with allergies is so difficult is because allergies tend to cause mucus to build up, as well as causing throat muscles to swell. This means that singing with consistency is much tougher. However, it is possible to do something about it. First of all, you should see a doctor, possibly and ear, nose, and throat specialist to see what your options are. They can recommend medications that might help you, without causing side effects to harm your ability to sing. So yes, singing with allergies is still possible. When you control your allergy issues, you won’t have to miss any important auditions, talent, or karaoke contests that you might have been planning to enter. A good voice instructor might also help you out. They can suggest breathing techniques or other singing tips for improving voice consistency. Sometimes, practicing these techniques will be enough for mild cases of allergies. Of course, you still need to take good care of your throat. There are some home remedies to help with the allergy symptoms that plague you. And, these solutions could help make singing with allergies possible. Some of these home solutions have proven effective. So, give these a try and see if any of them work for your symptoms. With that said, whatever you do, be sure to take good care of your throat and not strain it. Take advantage of the tips above and you will soon be singing with more peace of mind – regardless of whether or not it’s allergy season. Professional singers aren’t sidelined by allergies. So, learn what you need to know about singing. Then, do what’s required so you can sing better during allergy season. It might take some trial and error. And, allergies can be tough to beat. But eventually, you should be able to find a solution that works for you. EXTRA! Free Report Shows How to Sing Better in 90 Days – Get Your Copy Here.. I hope this segment and video tutorial about singing with allergies helped you conquer your issues. And, I wish you tons of success for your vocal career. Now, don’t let those allergies stop you from performing your best. Remember, allergies make up just one of the challenges singers face. Truth is, many beginners (and some professionals) also face the challenge of controlling their singing voice. Are you among this group? 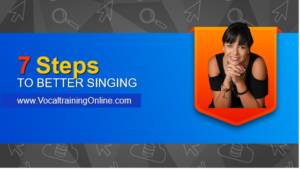 If so, check out the complete singing course student have been using for years. It’s called Singorama and I highly recommend you try it out. 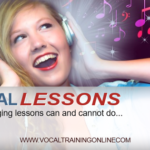 This vocal program can change your confidence level and keep you singing with confidence! 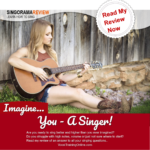 ==> Go here now to become the singer you want to be.. Truth is, many vocalist (even professionals) struggle with keeping on track with their talent. Why? Well, a big reason is that they put aside learning after they make a bit of progress. Yes, I’m guilty of doing this too! That’s why I’m offering these 7 tips to help you learn to sing better. 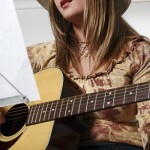 Check this powerhouse method to write a song of your own – and sell it! I like how simple you keep things. Thank you for these videos. didn’t you catch a cold filming the first part of this video Mark?? Thanks very much Mark. I needed that…tonight!? Can you just be my teacher? Haha 🙂 ? note is usually F and today I can go to Db. Any info would be great. a week. I sing professionally for about 5 to 6 hours a week so I need help. with me or take before a performance to aid in lubrication? ? shoulders.. But its hard to know if someone isnt there to correct you..
Wow, three seasons…great job and great info. Thank you so much!? Another great vid. thank you ? #allergies, here’s some sound advice on #singing if you’re struggling!? much never symptom-free, but I’m going to give this a try. ?